MaRS is a launchpad for startups, a platform for researchers and a home to innovators. We support over 1,200 Canadian science and tech companies that are tackling some of society’s greatest challenges, providing them with tailored resources at every stage of their growth, from startup to scale-up. We focus on the four sectors — cleantech, health, fintech and enterprise software — where the potential is greatest to build high-impact companies that strengthen the economy. Occupying 1.5 million square feet in downtown Toronto, MaRS is a diverse community of more than 120 tenants, including research labs and global tech companies, each selected to create a community that is collaborating on real solutions to important problems. The work carried out by the innovators in our community is making innovation mean something again. For example, it helps streamline our healthcare system, reduce the effects of climate change, unlock new cures for disease, envision the jobs of the future, improve mobility in crowded cities, and provide food and clean water for a growing population. Want to learn about our space and the tenants that make it up? Built on the site where insulin was discovered, MaRS was founded in 2000 by a group of 14 civic leaders driven by a passion for the possible. They donated $14 million and rallied further support from government, corporations and the University of Toronto to create MaRS. Our building opened in 2005 and is now home to a curated mix of startups, global corporates and leading research labs. To meet demand from Toronto’s burgeoning tech ecosystem, MaRS opened its West Tower expansion in 2016, doubling the building’s size. And we have plans to grow again, with a new space for scaling startups on the city’s waterfront set to launch in 2021. At MaRS, we believe innovation should be more than just a word that’s thrown around. Our mission is to make it mean something again — through work that is purposeful, necessary and done to make the world a better place. The companies we support build new technologies not only to create jobs and economic prosperity, but to tackle big problems and improve people’s lives. These companies are creating well-paying jobs in communities across Canada. Since 2008, MaRS-supported companies have contributed $11.6B to Canadian GDP. Salim Teja is the President, Venture Services for MaRS, where he leads the overall strategic direction of MaRS’ venture services areas: Energy & Environment (Cleantech), Finance & Commerce (FinTech), Health and Work & Learning. He is an experienced entrepreneur and active early-stage technology investor, with deep industry expertise in software and digital media. Salim joined MaRS in May 2013, providing strategic direction and leadership for MaRS’ ICT venture services group, leading corporate and venture capital engagement, and overseeing MaRS’ expanding international collaborations in the ICT sector. In this role, he has also provided direction to MaRS’ JOLT accelerator, overseen entrepreneurship initiatives with academic partners in the ICT arena, and has been responsible for the MaRS Commons, an 8,500-square-foot co-working space for entrepreneurs in the ICT sector. Salim joined MaRS from Indigo Books & Music, where, as vice president of corporate development, he drove the formation of the company’s Digital Innovation Lab. Prior to Indigo, Teja held the position of COO at CX Digital, a leading online ad network. He has also held roles as COO of b5media and partner with early-stage VC firm Brightspark Ventures, where he was the driving force behind investments, including Radian6 (recently acquired by Salesforce.com). He was also co-founder and vice president of sales and business development for San Francisco-based MobShop Inc., a pioneer in online group-buying funded by GE Capital, Visa International, Mayfield Fund and Marc Andreessen. 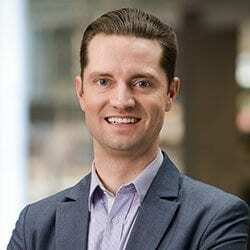 He is a graduate of the University of Western Ontario’s Richard Ivey School of Business. Grace Lee Reynolds oversees the operations portfolio, which includes real estate & events, data & technology, finance, legal, and corporate development functions at MaRS. She is also responsible for governance and financial strategy and accountability, and serves as the Secretary-Treasurer of the Board. Committed to organizations that drive meaningful social impact, she has held leadership roles in healthcare and charitable organizations. Prior to joining MaRS in 2011, she worked at University Health Network, where she was Director, Finance in the Corporate Office, Toronto General & Western Hospital Foundation and Toronto Western Hospital. She began her career at Ernst & Young before moving to the Research Institute of The Hospital for Sick Children, followed by the SickKids Foundation, where she was Senior Director, Finance. Grace is a Chartered Professional Accountant and holds Bachelor of Arts and Master of Accounting degrees from the University of Waterloo. 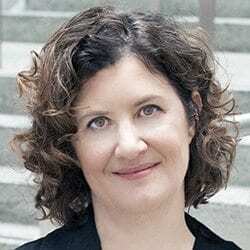 Karen Mazurkewich is Lead Executive, Communications & Marketing at MaRS. In addition to co-founding her own startup, she spent a decade as a senior journalist for the Wall Street Journal in Asia and the Financial Post in Toronto where she covered financial services, business innovation and technology. 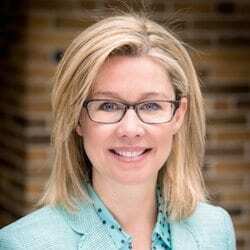 She has authored reports on innovation for the Canadian International Council and the University of Waterloo, and programmed multiple digital media events for the Ontario Development Corporation, Interactive Ontario, and Brunico Communications. She is a former senior communications officer for the National Film Board of Canada. A recognized leader in the Canadian innovation community, Usha Srinivasan has built some of the sector’s most unique service offerings for startups over the last 10 years. She leads a team dedicated to both nurturing and developing the talents of Canadians through a range of diverse programs. Together, they provide advisory services and leadership training, connect entrepreneurs with program funding, help leverage market and industry intelligence and engage the tech talent community. They also work to make online and experiential educational content accessible through Ontario’s Regional Innovation Centres. As co-chair of the Diversity, Inclusion and Belonging council at MaRS, Usha is passionate about making the tech community fair and inclusive. 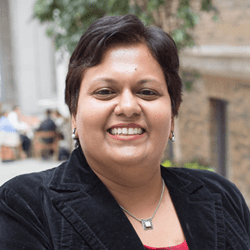 Prior to joining MaRS, Usha worked at Frost & Sullivan, a leading global market research and consulting company where she published key research papers, consulted for companies of varying sizes and managed a group of analysts. Usha is a recent graduate of Stanford’s LEAD Corporate Innovation program. She has a technical and industry background in sustainable building technologies, having worked with global clients such as GE, Siemens, Veolia, American Water, IBM, Honeywell and Brita. Usha holds a bachelor’s degree in environmental microbiology from the University of Bristol and a PhD in environmental sciences from Abertay University in Dundee. She is a National Research Council fellow and has also completed postdoctoral work at the United States Environmental Protection Agency and the University of New Brunswick. Joanne Thomsen is the vice-president of talent at MaRS, where she leads the human resources function for MaRS Discovery District, and formerly for MaRS Innovation and the Centre for Commercialization of Regenerative Medicine. Joanne has over 20 years of human resource leadership experience in the private, public and not-for-profit sectors. Most recently, she was vice-president of human resources at Mash Media (formerly Empirical), an online and traditional marketing services company. Joanne has also worked at Bank of Montreal as a senior human resource business partner and consultant, aligning people strategy to business strategy. While at BMO she worked on two key strategic organization design initiatives across several lines of business in the private, personal and commercial, and technology and solutions pillars of the bank. Joanne also spent several years at the Toronto District School Board, working mainly in the area of labour relations. Joanne is a Certified Human Resource Professional and has a bachelor of arts from Trent University. She is also a graduate of the California-based Coaches Training Institute’s Co-Active Coach Training and Co-Active Leadership Programs. Joanne is currently a student of the Three Fold Way, an integrated approach that considers body, mind and spirit in human transformation. Ron leads all corporate partnership activity at MaRS. He works with a diverse collection of global corporate partners, creating pathways to market for MaRS-supported companies, while also working with partners to unlock their own adoption capabilities. Ron’s entire career has been focused on bringing new technologies to markets, including nearly ten years as a venture capitalist, co-founding an AI-focused company, and gathering experience in major consulting firms. Prior to joining MaRS, Ron was the president and CEO of ENBALA Power Networks, a leading smart grid technology company offering optimization services to utilities and system operators. Ron holds a degree in industrial engineering from the University of Toronto. Janet Grant is responsible for all aspects of events and meetings held within the MaRS Centre, where in-person connections are a key part of how MaRS’ convergence innovation model drives economic and societal prosperity. Since joining MaRS in 2008, Janet has helped to grow the number and range of meetings and events held at MaRS, delivering an exceptional customer experience to our diverse community. Janet has a Bachelor of Arts degree from Victoria College at the University of Toronto and a Business Certificate in Hotel Management from Cornell University. Janet has held management roles in the hospitality, health and not-for profit sectors, including Commonwealth Hospitality and the Heart and Stroke Foundation of Ontario, and as Owner/Operator of a healthcare consulting business specializing in gerontology. With support from the JW McConnell Family Foundation and the Province of Ontario, Allyson has assisted hundreds of social ventures to become economically sustainable and increase their social impact. She has developed and helps lead the social innovation programs at MaRS, including the national initiative Social Innovation Generation (SiG); the social finance programs of the Centre for Impact Investing; the MaRS Solutions Lab, a change lab designed to tackle complex challenges; and Studio Y, an initiative designed to support youth in thriving in the new economy. She has also been instrumental in growing the social innovation ecosystem; conducting public education; and influencing public policy. She is currently leading an initiative to develop a pro bono marketplace for Canada. Allyson is also the Social Entrepreneur in Residence at the Conrad Centre at the University of Waterloo, where she helps teach the Social Entrepreneurship and Corporate Social Responsibility courses in the Master in Business, Entrepreneurship & Technology Program. She is a sought-after educator, mentor and social venture competition judge for programs that include the Social Innovation Graduate Diploma and the Lougheed Leadership program at the Banff Centre. Allyson is also a member of the Dean’s Council at the Ted Rogers School of Management at Ryerson University, where she helps lead the social responsibility work. A life-long social innovator, she last worked at SickKids where she led Safe Kids Canada and was a passionate advocate for children. She was also the Executive Director of Community Information Toronto where she initiated 211, providing streamlined access to human service information. For her leadership on this social innovation she received the Head of the Public Service Award and several other prestigious awards for meritorious public service. Allyson’s academic background is in Criminology, Law, Public Affairs, Voluntary Sector Management and Organizational development, including Leading Change. 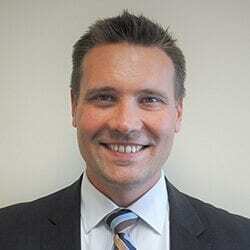 Cory Mulvihill is the Lead Executive, Policy & Public Affairs. He focuses on co-ordinating relationships with government stakeholders, and aligning MaRS and its network with government policies. He also explores new opportunities and initiatives that align with MaRS’ strategic objectives. He previously served as Chief of Staff to Ontario’s Minister of Research, Innovation and Science. His previous roles in the government include Chief of Staff to the Minister of Training, Colleges and Universities, and Senior Policy Advisor to the Ministers of Economic Development and Innovation, and Research and Innovation. Prior to working for the Province, Cory completed his Ph.D. in Biochemistry at SickKids and the University of Toronto with a focus on cystic fibrosis. Cory is also a Chartered Financial Analyst (CFA) charterholder and completed an Hon. B.Sc. in Chemistry. Cory’s move to MaRS brings him closer to his experience in and passion for the life sciences sector, and more broadly to the implementation of innovation policy. 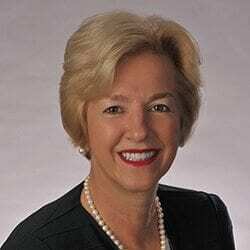 Chair, Board of Directors, MaRS Discovery District; Chair & CEO, NRStor Inc.
Annette Verschuren, a native of North Sydney, Nova Scotia has taken her wealth of unique experience and well-rounded skill-set in finance, operations and leadership and applied it to public, private and non-profit ventures throughout her career. In July 2012, Annette oversaw the creation of NRStor Inc. as Chair and CEO. Within 24 months the company had opened the first commercial grid-connected energy storage flywheel installation in Canada. She has been and influencer of policy and worked to create a market for advanced energy storage in Ontario. Formerly the president of The Home Depot Canada and Asia, Annette grew Canadian operations from 19 to 179 stores between 1996 and 2011. 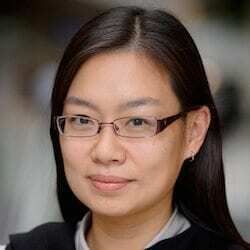 She also led The Home Depot’s entry into China between 2006-2009. Prior to her career at The Home Depot, Annette served as the president and co-owner of Michaels of Canada (arts & crafts) from 1993-1996. Annette began her career as a development officer with the Cape Breton Development Corporation, a coal mining operation, in Sydney, Nova Scotia. She then worked with the Canada Development Investment Corporation as executive vice-president, privatizing crown corporations, before joining Imasco Ltd. as vice-president, corporate development. Annette currently sits on the board of Liberty Mutual Insurance Group, Air Canada, Saputo and Canadian Natural Resources Ltd. She was also a member of Finance Minister Jim Flaherty’s Economic Advisory Council, which included a group of 11 Canadian business leaders charged with advising the Government of Canada on the global economic crisis. Most recently, Annette was appointed Chair of the Federal Government’s Expert Panel for the Venture Capital Action Plan. In 2011, Annette received the highest civilian honor as an Officer of The Order of Canada for her contribution to the retail industry and Corporate Social Responsibility. Gordon Nixon was chief executive officer of Royal Bank of Canada from 2001-2014. Mr. Nixon is Chairman of the Board of Bell Canada Enterprises, a director of George Weston Limited, BlackRock Inc. and he is on the advisory board of KingSett Capital. Mr. Nixon has been awarded the Order of Canada and the Order of Ontario and is an inductee into the Canadian Business Hall of Fame. He is a recipient of Canada’s Outstanding CEO of the Year Award, the Canadian Business Leader Award, the Ivey Business Leader Award and was included on both Barron’s list of the World’s Best CEO’s and Bloomberg’s list of the World’s 50 Most Influential People. Mr. Nixon received an Honours Bachelor of Commerce Degree from Queen’s University and holds an Honorary Doctor of Laws from both Queen’s University and Dalhousie University. 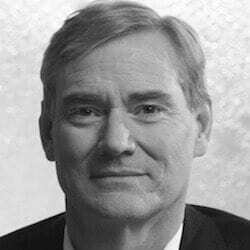 Richard W. Ivey is Chairman of Ivest Properties Ltd., a real estate development and management company, and Chair of MaRS EXCITE (Excellence in Clinical Innovation and Technology Evaluation). Mr. Ivey currently serves on the Boards of MaRS Discovery District, EXCITE International and the Ivey Foundation. He also serves as Chair, Patron’s Council, of Dying With Dignity, and on the Advisory Boards of Social Capital Partners and the Ivey Business School. Amongst his prior Board positions are the Toronto International Film Festival, Western University, University Health Network, the Toronto Foundation and the Canadian Institute for Advanced Research where he served as Chair for six years. 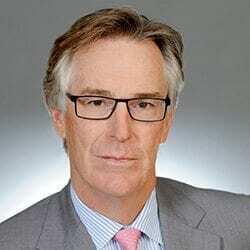 He was appointed a Member of the Order of Canada in 2005. Mr. Ivey practiced law at Torys until 1982. He has served in a variety of executive roles with companies in the packaging, logistics and real estate industries for the past 35 years. Elyse Allan is the former President and CEO of GE Canada, a position she held since 2004, and Vice-President of the General Electric Company. Elyse’s career includes consulting and executive leadership roles with GE and other companies in the US and Canada spanning several industries including energy, healthcare, plastics and consumer products. Prior to her most recent role at GE, she led the Toronto Board of Trade as President and CEO, and previously served as a Senior Executive at Ontario Hydro. Elyse is a member of the Board of Brookfield Asset Management, a Canadian global alternative asset manager. She is a Fellow at the C.D. Howe Institute and co-chair of its Energy Council, a Board member of MaRS Discovery District, and an Eco-Fiscal Commission Advisory Council member. 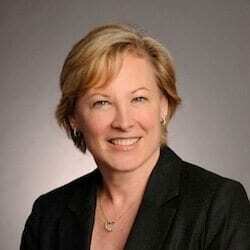 Recently she completed her term as director of the Conference Board of Canada and of the Business Roundtable. Elyse holds honorary doctorates from several Canadian institutions and in 2014 the Governor General appointed her a Member of the Order of Canada. Elyse earned her Bachelor of Arts degree from Dartmouth in Hanover, N.H., USA and an MBA from the Tuck School of Business at Dartmouth where she currently chairs the Board of Advisors. 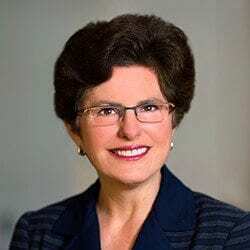 Elaine Campbell is a retired executive and currently serves as an advisor and board member. 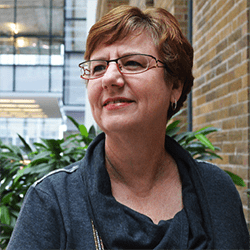 In 2016 she un-retired to serve as the interim president of Innovative Medicines Canada. Her role prior to retirement was as president of AstraZeneca Canada Inc., part of AstraZeneca PLC, one of the world’s leading biopharmaceutical companies, from 2012-2015. Ms. Campbell has more than 25 years of experience in the pharmaceutical industry, in global and North American leadership roles in multiple therapeutic areas. 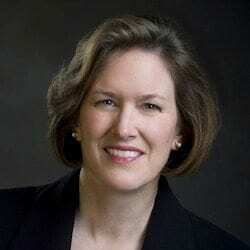 Ms. Campbell was a senior vice-president with DuPont Pharma, a division of E.I. DuPont & Nemours in the US. During her tenure there, she held executive roles within the commercial functions in both the US and Canada. Currently she is a member of the Advisory Board for Chemical Engineering at U of T, is on the Finance and Audit Committee of MaRS Discovery District, and advises a number of small companies. Ms. Campbell holds a bachelor of applied science in chemical engineering from the University of Toronto and an MBA in marketing from St. Joseph’s University in Philadelphia. Ron was recently the CEO of Pelmorex Media (The Weather Network). 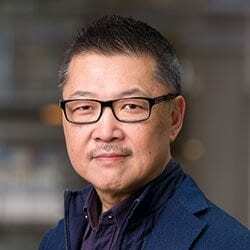 He was Executive Entrepreneur-in-Residence at the Ivey Business School, and at MaRS Discovery District. 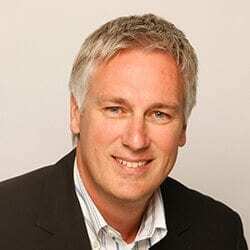 He has been a director on several boards including Pelmorex, The Globe and Mail, Canada Media Fund, CTVglobemedia and MaRS Innovation. 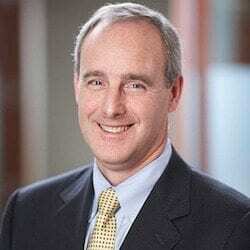 He is currently a director of Maple Leaf Foods, Thomson Reuter Founders Share Company and MaRS Discovery District. He is also a Managing Director of Power Financial Ventures, mentoring early-stage startups in the fintech sector. 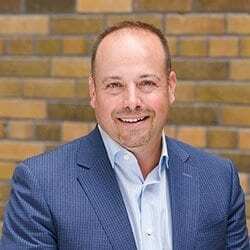 Ron has had a distinguished career as a senior executive at several companies, from smaller startups (co-founder/CEO of Netcom Canada) to large corporations (at BCE he was President, Bell New Ventures, also overseeing Sympatico-MSN). Ron holds a Bachelor of Arts in Honors Business Administration (HBA) degree from the Ivey Business School (1981). He is past-Chairman of the Ivey Entrepreneurship Council and past-Chairman of Ability Online, a charitable organization for children with disabilities. He is past-Chairman of the Toronto Chapter of Young Presidents Organization (YPO) and is a current member of World Presidents Organization (WPO). Derek was appointed as the President and Chief Executive Officer, and a Director of MEG Energy in August 2018. He is a veteran oil and gas industry executive with over 35 years of experience. From May 2009 to March 2018, he served as the President, CEO and Director of Pengrowth Energy, where he led the Company through a major transformation, streamlining its asset base from 35 properties to two growth assets, with over $9 billion of development opportunities. Prior to joining Pengrowth, Derek was the President, CEO and Director of Focus Energy Trust, a dividend paying royalty trust company. During his tenure at Focus, Derek was successful in increasing the market valuation approximately five times, while distributing more than $400 million to unitholders. Mr. Evans holds a Bachelor of Science in Mining Engineering from Queen’s University and is a registered professional engineer in Alberta. 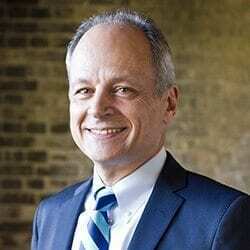 Meric S. Gertler began his term as the 16th President of the University of Toronto on November 1, 2013. Prior to that, he served as the Dean of the Faculty of Arts and Science—the largest faculty at the University—from 2008 to 2013, where he championed many important innovations in undergraduate teaching and learning. He is a Professor of Geography and Planning, and the Goldring Chair in Canadian Studies at the University of Toronto. He is a co-founder of a large research program at U of T’s Munk School of Global Affairs investigating the role of city-regions as sites of innovation and creativity in the global economy. His work engages in comparative analysis of North American and European cities to understand how local social and cultural dynamics create the foundations for economic success and prosperity. He has served as an advisor to local, regional and national governments in Canada, the United States and Europe, as well as to international agencies such as the Organisation for Economic Cooperation and Development (Paris) and the European Union. He has authored or edited seven books, including Manufacturing Culture: The Institutional Geography of Industrial Practice and The Oxford Handbook of Economic Geography (with Gordon Clark and Maryann Feldman). He has held visiting appointments at Oxford, University College London, UCLA, and the University of Oslo. He is a Fellow of the Royal Society of Canada, and received the 2007 Award for Scholarly Distinction in Geography from the Canadian Association of Geographers. He is also a Fellow of the Academy of Social Sciences (UK). 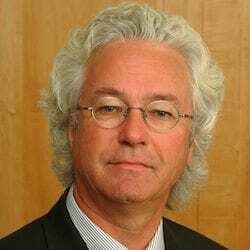 He holds a doctor of philosophy honoris causa from Lund University in Sweden. Most recently, Gertler received the 2014 Distinguished Alumni Award from the University of California, Berkeley and the 2014 Distinguished Scholarship Honor from the Association of American Geographers (AAG). Dr. Larson joined Sectoral in 2018 as Partner – Private Equity, responsible for leading biotechnology private equity investments. Prior to joining Sectoral, Dr. Larson was an Entrepreneur-in-Residence and later Venture Partner with Versant Ventures, where he led the establishment of their Toronto-based Discovery Engine and was the founding CEO of Northern Biologics. Dr. Larson was also a co-founder of two medical device companies: Perimeter Medical Imaging, and Tornado Spectral Systems. 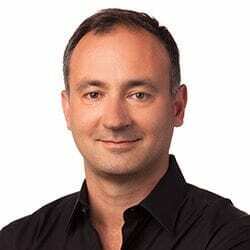 He began his career at McKinsey & Company in San Francisco and Toronto. Dr. Larson received his B.Sc. in Biology from McGill University, and his M.Sc. in Molecular and Medical Genetics from the University of Toronto, prior to completing his Ph.D. in Biophysics at Stanford University. Geoffrey Matus, the President of Mandukwe Inc., co-founded the following companies: Cidel Bank & Trust Inc., Tricon Capital Group Inc., NexGen Financial Corporation and Chairs Klassen Bronze Limited, Talent Payment Services, Cidel and NexGen. He is a past member of the Governing Council of the University of Toronto and now chairs the Investment Advisory Committee for the university’s Pension and Endowment Funds. In 2010, he was awarded the Arbor Award for outstanding service to the university and, in 2005, was a recipient of the Jewish Federation Award for outstanding service to the community. This year he will be honoured as a man of distinction by the Israel Cancer Research Fund. He is a board member of the Canadian Opera Company and a past board member of Mount Sinai Hospital. In 2007, he was appointed an honorary director of Baycrest Centre for Geriatric Care and is a Past Chair of the Board of Directors. Geoffrey is a graduate of the law school at Columbia University in New York and a graduate of the University of the Witwatersrand in South Africa. 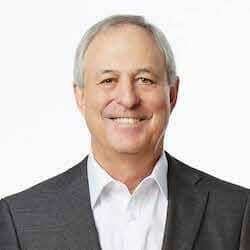 Michael McCain is President and Chief Executive Officer of Maple Leaf Foods. He and his team have led the transformation of Maple Leaf Foods into Canada’s leading food processor and exporter, with over 21,000 employees, sales of $5 billion in 2010 and flagship brands including Maple Leaf, Schneiders and Dempster’s. Michael joined Maple Leaf Foods as President and Chief Operating Officer in April 1995 and was appointed President and Chief Executive Officer in January 1999. Dr. Calvin Stiller is a lifelong innovator whose work encompasses science, business and public service. As a scientist, Dr. Stiller was principal investigator on the Canadian multi-centre study that established the effectiveness of Cyclosporin in transplantation, which led to its worldwide use as first-line therapy for transplant rejection. He was the first to demonstrate that Type I Diabetes could be altered by an immunosuppressive agent confirming that it was an autoimmune disease. He has published over 250 scientific and medical papers, co-edited five books and is the author of Lifegifts, a book about organ transplantation. In 1985 Dr. Stiller established the Multi-Organ Transplant Service in London, arguably one of the first in the world and served as its chief for over a decade. He has been president of the Canadian Society of Nephrology and co-founded the MaRS centre, the Ontario Genomics Institute, the Ontario Institute for Cancer Research, which he currently chairs, the J. Allyn Taylor International Prize in Medicine and the Canadian Medical Hall of Fame. Dr. Stiller is also an entrepreneur and businessperson. He founded two firms that eventually employed 4,000 people in healthcare and technology services, which were later sold and taken public. He established four venture capital funds to invest in innovation, including the largest life sciences fund in Canada. Dr. Stiller received his medical degree from the University of Saskatchewan in 1965 and his fellowship in the Royal College of Physicians and Surgeons of Canada (FRCPC) in 1972, following seven years of post-graduate studies in Edmonton and London, Ontario. 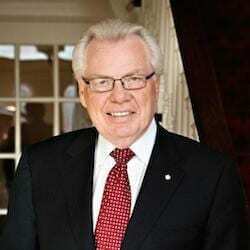 He is a member of the Order of Ontario and officer of the Order of Canada. He is the recipient of four honorary degrees and numerous others, including the Medec Award and the Canada Gairdner Wightman Award. Ms. Tory recently retired from Ernst & Young LLP, where she was a partner specialized in serving not-for-profit organizations. In addition to her involvement with MaRS, Ms. Tory serves as the Chair of the Board for PREVNet and the Institute of Competitiveness and Prosperity. She is on the boards of a number of other charities, including Sunnybrook Health Sciences Centre, George Brown College and Dixon Hall Neighbourhood Services. She is also a member of CPA Canada’s Accounting Standards Oversight Council and the Standards Council of Imagine Canada. Ms. Tory holds a B.Comm from the University of Toronto and has FCPA, FCA and ICD.D designations. Discover more about MaRS, the innovators we support and the impact we make.